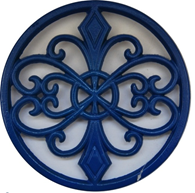 Cast iron thickness approx 3.5cm. Cast iron sandwich toaster with a double head! 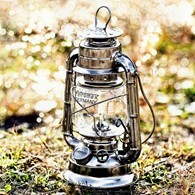 A great accessory to take away with you camping as this can even be used on open fires or on chimineas or fire bowls. This is a very versatile product which is also suitable for grills at home or wood burning stoves. 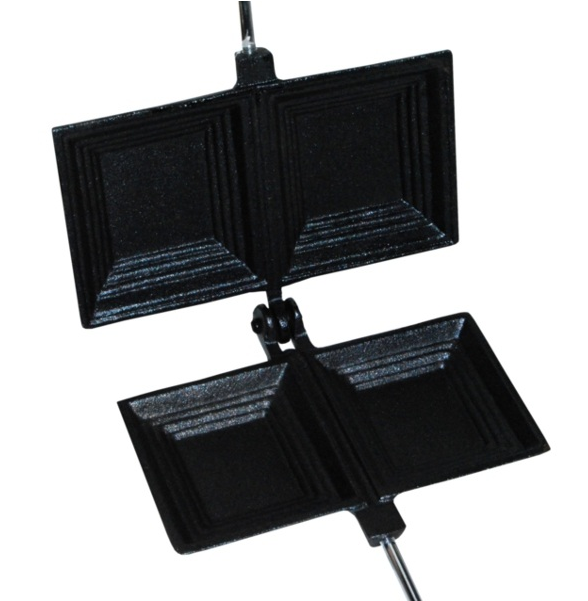 The sandwich toasters head screws onto the handles which are extra long to prevent you burning yourself when cooking on an open fire. The handles also have a wooden cover for safety. The head screws off to enable easy washing. 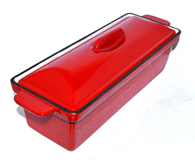 This is a must have accessory particularly if you love camping but don't want to cook a full meal or for lunch times. Don't leave your partner waiting for their food to be cooked, with this twin toaster you can both eat together! 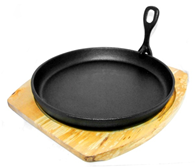 There are no reviews for Cast Iron Double Sandwich Toaster With Wooden Handle.